Maxx Cleaning is the one-stop solution that offers the best in the class end of lease cleaning in Perth at the most competitive prices. Our optimal and superlative services have made us the most popular name in the location of Perth. What Is An End Of Lease Cleaning? It is something different from the normal options. This type of cleaning is needed before leaving a rented place. It can be said that it is the process of removing all the signs you lived there so that the new family, who will move there, won’t have to clean up your mess. The end of lease cleaning is also known as bond cleaning since it is conducted to get the refund of the bond deposit that you have paid when you rented the property. So, it is crucial and in order to get it done in the most efficient way, hiring a professional is important. Remember, if your end of lease or exit cleaning is not sufficiently high-standard, you may lose your bond. There is basically no difference between the end of lease cleaning and the bond cleaning. The end of lease cleaning is popular in several names. While some people call it exit or vacate cleaning, it is known as the bond cleaning for some. There is a reason behind calling the end of lease cleaning bond cleaning. Since the tenants do not get the bond money back from the renters if the end of lease cleaning is not done professionally, this process is popularly known as bond cleaning. 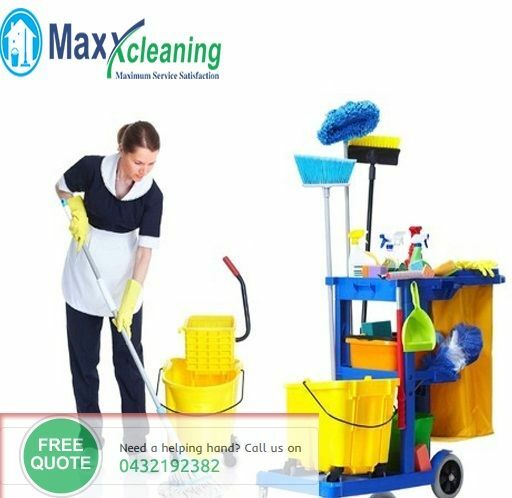 We, at Maxx Cleaning, clean your residential and commercial place in the most efficient way whenever you need it. So, if you are the real estate agents or want your building completely cleaned for a new build or post-construction development, we can give you the complete satisfaction in this. When you hire us for entry or exit bond cleaning for your property, we listen to your instructions and request before starting our work. Our cleaners work hard to meet and exceed your expectation. Our staff believe in excellence and that is why we work together with the real estate agents to accomplish the common goal of customer satisfaction. If you don’t want to face any obligations to get your bond money back from your renters, come to us. We will give you the ultimate solution for all your exit or entry cleaning needs. We can create the magic and make the entire property lively and vibrant, no matter at what condition the property is. It does not matter whether you are a seller, buyer, real estate agent or any other property advocate, you can avail our property settlement cleaning at the most competitive prices. Our settlement End Of Lease, Vacate and Bond cleaners know how to complete their work in the most efficient way by maintaining your deadline and specifications. All our staff have years of experience and extensive knowledge in preparing a property for final handover. This is true that everyone wants their new home to be as clean as possible. And here comes the importance of Maxx Cleaning. We clean your home efficiently and give you the feeling of a new and welcoming home. If you are in need of a property settlement cleaning and looking for the best cleaners for the same, you can count on us. we pay special attention to the areas that are prone to collect more dirt and grimes. For example, the bedrooms, kitchen and the bathrooms need extra care to be cleaned efficiently. Molds can grow anywhere in the bathrooms. They can build up in the shower recess or in the kitchen sink. It is also important to clean the oven professionally. Our expert Vacate cleaners know how to clean your home and make it completely dust and germ-free. We also use the powerful degreaser cleaning agent in the kitchen in order to clean it perfectly. Do you want to move out or want to sell your home? do you want the last minute cleaning? We can help you in this. Our services include the windows, stoves, oven and range hood. The real estate agents in Perth know how to do their job in the most efficient way. They visit the property that they are dealing on a daily basis in order to make sure that it is in a good condition. In order to make the property in a good condition, a professional clean is required. This could be a spring clean or the full-service domestic or residential one off clean. A property can only be back to the fresh and clean state through a professional property cleaning. Our real estate bond cleaning includes the carpet cleaning services. However, you can also choose carpet cleaning service separately or combines with the bond clean. All the experts, at Maxx Cleaning, have extensive experience to carry out professional cleaning services. Because of our extensive knowledge, we have become the most popular property cleaning solution in Perth. Are you among those real estate agents who are in need of the best cleaners for emergency cleaning services? Then, we can be the perfect solution for you. Since we are open 24 hours a day, 7 days in a week and 365 days in a year, you can call us anytime for getting the perfect bond cleaning in the most efficient way. This service is especially helpful for the real estate agents since they can get the bond cleaning done on an urgent basis before handover the property. At Maxx Cleaning, we understand that having clean windows is paramount to get the best possible sale price. Our expert cleaners meet the high expectations of the real estate agents with the best quality window clean. We have the specialist team of End Of Lease, Vacate and Bond cleaners in Perth with the latest technology equipment to complete a bond cleaning assignment. If you are a real estate agent in Perth and dealing with the big real estate projects, then you must need the help of builders bond cleaning. Building bond cleaning includes the new building, stand-alone building or construction project that needs to be cleaned post building. We use the best cleaning materials to clean your windows in the most efficient way and give them a sparkling glow. We specialize in handover clean and new build clean. We always arrive on time on your construction site with all the necessary equipment and conduct a final clean on your property. So, if you want to finalize your building project with ease and certainty, Count on us today. Most people don’t consider cleaning their 3 BHK home from a professional cleaner because of the cost associated with it. However, the exit clean of a 3 BHK home involves a lot of efforts if you want to do it yourself. And, this effort does not always bring the result since you are not a pro in the exit cleaning. So, it would be wise if you choose professional cleaners for this purpose. They may be little expensive but not the wasting of money. We, at Maxx Cleaning, offer the top-quality 3 BHK flat exit cleaning services at the most competitive prices. We understand the value of money and that is why we offer the best services within your budget. Count on us today to learn more about our cleaning services. There is no denying the fact that moving from a rental office includes a lot of hassles and the biggest hassle is the cleaning process. With our expert cleaners, you can completely forget about the responsibility and the hassles of the vacate cleaning. For years, we have been providing lease exit office clean services at the most competitive prices. With us, you can access the professional cleaners in your budget. When you are with us, you can be assured of the fact that your cleaning process is in the most reliable hands. With Maxx Cleaning, you can experience the top quality home open cleaning. So, if you are the real estate agents or the concerned homeowners, you can get in touch with us anytime. We offer a comprehensive home open cleaning anytime including the window cleaning and the oven cleaning. Our home open cleaning services include almost everything in your home since we believe that your home is the most valuable asset. We also offer the top to bottom clean to your home and make it as new as possible on the handover and the settlement. Because of our best quality services, we have become the most popular cleaners among the real estate agents. The best part of the entry or exit clean is, it greatly affects the price of your property value. If your property is professionally cleaned, you will get a good price if your property is evaluated. So, if you are thinking of selling your property or giving it on rent, count on us today. We will give you the perfect solution for all your property needs. When the tenants will see that your property is in the good condition, they will automatically agree to give you a good amount of money. Maxx Cleaning can also help you to make the sale of your home easier. In Perth, the End of Lease Cleaning plays a vital role, so it would be better if you give it in the reliable hands of an expert. When you are attempting to pack, organize the bins, conclude your bills, and get your utilities associated, and also staying aware of work and family, stressing over the end of your rent and cleaning is the farthest thing from your brain. We, at Maxx Cleaning, know how to satisfy our clients through the bond cleaning. Our services are just perfect for the renters and the tenants. We are the most trusted End Of Lease, Vacate and Bond cleaners in Perth that offer the supreme quality bond cleaning services. WHY CHOOSE US FOR END OF LEASE AND BOND CLEANING? So hiring us is the smartest way to resolve your end of lease cleaning problems and get the bond money back. Our trained and experienced specialists make it sure that you get the best result. Are you moving out? Do you need to hand over your property to your landlord? Then, contact Maxx cleaning today to receive the most efficient services at the most competitive prices. 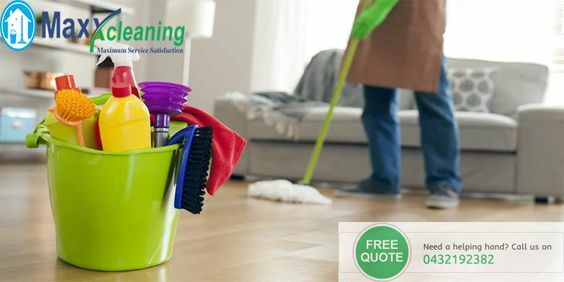 We follow your specific instruction and depending on your requirements and budget, we help you to get your bond amount back with the best cleaning services. The real estate agents and tenants also hire us to complete their bond cleaning and the other handover cleaning services. Honesty, efficiency and professionalism are the things that distinguish us from our competitors. We have a wide range of cleaning packages that meet the unique needs of our clients. So, by hiring us, you can save your time as well as your money. We have proficient and committed End Of Lease, Vacate and Bond cleaners who handle it around the zone day by day. With immense experience and learning of what your landlord or realtor is searching for, you can be guaranteed that your house is cleaned to the most elevated standard. You shouldn't squander your cash by purchasing cleaning supplies that you will utilize just once. Let Maxx assume the control as we have all the important items and equipment. Additionally, we concentrate on stove cleaning, installations, fittings, lighting, and machines. Our group of specialists utilizes the stain and oil evacuation innovations that will make the stove look like the new one. We get into the corners and do the messy work; so you don't need to worry about it. If you believe that the End of Lease Cleaning sounds like an unpleasant assignment, let us take the worry off you. When you pick a Maxx Cleaning Package for your rental, you can be assured that your work is in the reliable hands. You may get discount or full refund if our group doesn’t live up to your expectations. If you want to clean your rented home before leaving, getting proficient help certainly makes sense! We are the proficient and experienced housekeepers who can help you by fulfilling all your cleaning needs. Be it a normal home clean, occasional clean or an intensive spring tidying to get your home up to scratch, Maxx Cleaning is always there for you.